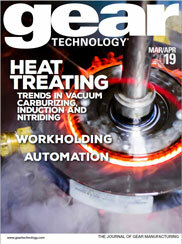 Cleaning Technologies Group has released a new guide titled "Planning for New Cleaning Equipment." Cleaning Technologies Group is excited to announce the release of their new guide, "Planning for New Cleaning Equipment." The authors at Cleaning Technologies Group worked with the world-renowned cleaning tech experts of Blackstone-NEY Ultrasonics and Ransohoff Parts Washers to help our industry become more accessible. They are releasing this guide for beginners to the world of parts washing and ultrasonic cleaning 100 percent for free. When it comes to parts cleaning equipment, there are a wide range of options and considerations. This guide will assist engineers and purchasing managers in the process of selecting the best parts cleaning equipment and preparing for the integration of that equipment into their process and facility. Our document is designed for the betterment of our community. To download the guide, visit Cleaning Technologies Group's download page here. This document will be available online indefinitely and will be improving as Cleaning Technologies Group hears feedback from our customers and readers. They believe that by offering great resources for free, they will be able to improve their industries' accessibility while reducing headaches for their followers.